* Click on the image to see the larger version. You can buy our product listed in our H.P. enter the product and quantity you would like. We reply the total amount including courier charge to you by e-mail. A "Paypal" or "T/T remittance in advanced" are available for the payment. * For instruction manual, please refer to the column of DD51 and RC-02 to download there. Use ROKUHAN AC adapter (sold separately) or AAA (LR03) Dry Battery x 8pcs for play. * For instruction manual, please refer to the column of KIHA52 and RC-02 to download there. Licensed for merchandising by East Japan Railway Company. Licensed for merchandising by Tobu Railway Company. A009 Room light A suits these 4 cars. 5 cars set (including 1 motor car). A009 Room light A suits these 5 cars. Commuter car, 2 cars set. A009 Room light A suits these 2 cars. Commuter car, 4 cars set (including 1 motor car). Commuter car, 5 cars set (including 1 motor car). DD51 1000 is the property of Japan Freight Railway Company (JRF). Licensed for merchandising by Japan Freight Rilway Company (JRF). Licensed for merchandising by Japan Freight Railway Company (JRF). DD51 1000 A Cold district type JR Hokkaido color is the property of Hokkaido Railway Company. Licensed for merchandising by JR Hokkaido Railway Company. Head mark is not included. DD51 Euro liner color is the property of Central Japan Railway Company. Licensed for merchandising by Central Japan Railway Company. DD51 1000 Semi-cold district type JNR color is the property of West Japan Railway Company. Licensed for merchandising by west Japan Railway Company. Licensed for use of the trademark by JAPAN OIL TRANSPORTATION CO.,LTD. Licensed for use of the trademark by JAPAN OIL TERMINAL CO.,LTD. Licensed for merchandising by Japan Freight Railway Company. JNR 14 series passenger car is the property of West Japan Railway Company. 14 series passenger car Europea is the property of Shikoku Railway Company. Licensed for merchandising by Central Japan Railway Company / Shikoku Railway Company. 14 series Resort is the property of West Japan Railway Company. Koki 106 is the property of Japan Freight Railway Company (JRF). EF66 is the property of Japan Freight Railway Company (JRF). Licensed for merchandising by Japan Freight Railway Company(JRF). A015 Room light B suits this car. Kiha 52-100 Oito line color is the property of West Japan Railway company. Kiha 52-100 Early version JNR standard color is the property of West Japan Railway company. A009 Room light A suits these 3 cars. A009 Room light Type A fits in this car. Licensed for merchandising by Shinano Railway Company. DE10 1500 is the property of Japan Freight Railway Company (JRF). Licensed for merchandising by Japan Freight Railwaiy Company (JRF). Type 500 Shinkansen is the property of West Japan Railway Company. Type500 Shinkansen is the property of West Japan Railway Company. A030 (Room light short) suits front / tail car. A031 (Room light long) suits the middle car. Type500 Shinkansen EVA version is the property of West Japan Railway Company. A031 (Room light) suits all the cars. Licensed for merchandising by Shikoku Railway Company. Licensed for merchandising by Moka Railway Company. 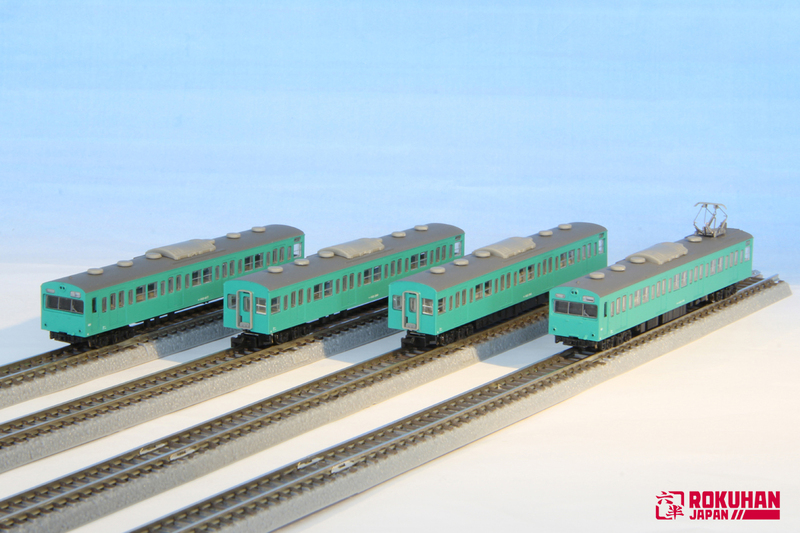 - This model was used for the Sleeping car connection "HOKUTOSEI" until 2010.7. Then a headmark with "HOKUTOSEI" print is attached as the accessory part. - The large print "EF81" was the symbol of special car connection 'Super Express Rainbow'. - A white tie on body side was added when this model was transfered from JNR to JR.
- This locomotive was the leading engine of the Imperial cars in 1985. - This locomotive was the leading engine of Sleeping car connection "Cassiopeia" in 2008. - There is special emblem printing on body side, which is the symbol of JR Hokkaido. - A head mark with Hokutosei printing is enclosed which can be put on the head of T002-8 DD51 double heading. - A Tail mark with Hokutosei printing and antenna part are also enclosed. - A015 Room light suits. - A015 Room light suits (A009 suits Sushi 24-501 only). - A015 Room light suits (A009 suits Sushi 24-506 only). EF210 is the property of Japan Freight Railway Company (JRF). C11 Steam locomotive number 178 was manufactured in 1940. C11 Steam locomotive number 325 is still in service at Moka Railway Company. C11 Steam locomotive number 165 was manufactured in 1940. C11 Steam locomotive number 200 was manufactured in 1976. C11 Steam locomotive number 254 was manufactured in 1944. ●Deflectors are made by sharp etching parts and "Cooling pipe", "Water-Supply pump" etc, mechanical texture are molded with extremely realistic even 1/220 scales! * The commodity has the possibility that the change is caused at the content and the sale time under development. Please acknowledge it.